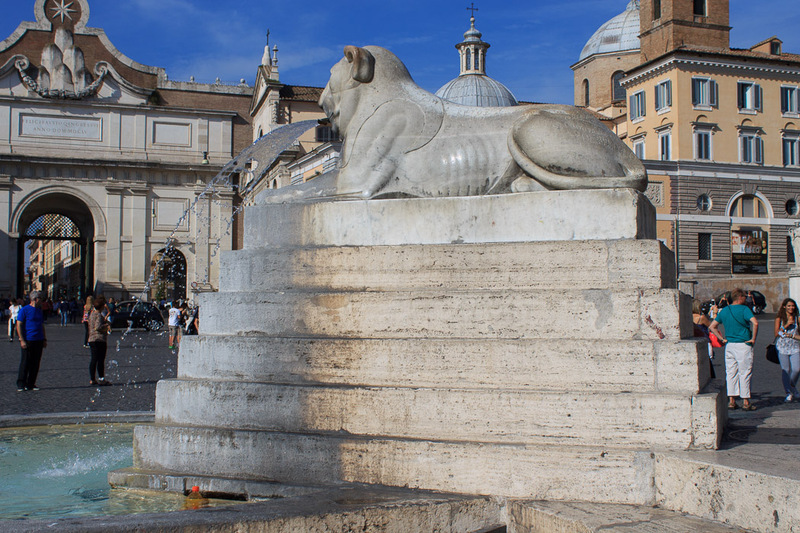 The Fountain of the Obelisk was created in 1815 when Giuseppe Valadier redesigned Piazza del Popolo by adding its outer walls and the central fountain with its four white Egyptian lions around the Flaminian Obelisk which had been erected here in 1589. 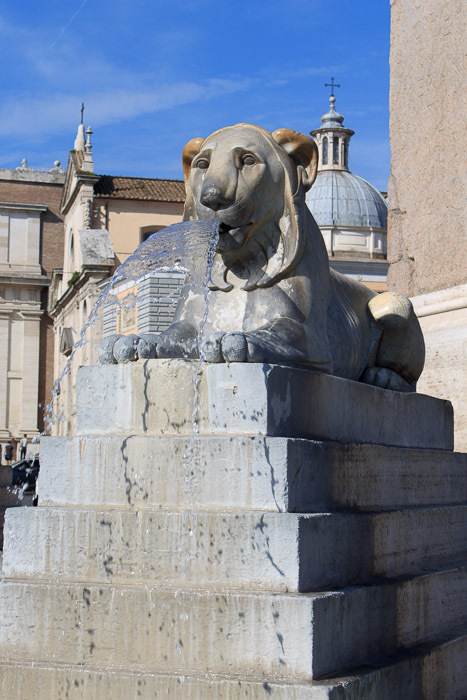 Four Egyptian-style lion fountains, each on a massive stepped plinth, surround the base of the Flaminian Obelisk, spouting water from their mouths into a large pool below each lion. The water outlet in the mouth of each lion is shaped such that the water forms an arc-shaped sheet which falls down into the pool below. 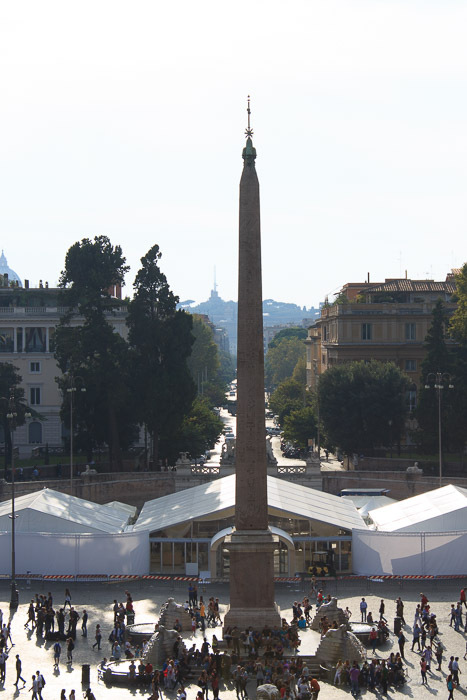 See all Fountain of the Obelisk photos.